Update: My interview is now available. 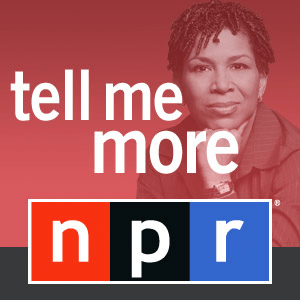 Earlier today I recorded a segment for NPR’s “Tell Me More with Michel Martin.” The show will air tomorrow on the anniversary of 9-11. One of the show’s producers contacted me after coming across one of my essays at the Atlantic in which I briefly explore some of the connections between 9-11 and Civil War remembrance. The show focused specifically on the challenges of commemorating and remembering 9-11 eleven years later. We talked a bit about the Civil War, teaching, and the loss of my cousin, Alisha. The taping went on for about twenty minutes, but I don’t think all of it will make it on the air. Thanks to Freddie Boswell for the invitation to take part and to Michel Martin, who did a first-rate interview. You can check the show’s website for when it will air live tomorrow in your area. Of course, I will update this post with the podcast when it becomes available. Thanks for a very humane discussion. I also lost a cousin on 9-11 and saw the really horrible use his and the other deaths were put to a year and a half later. Thanks for sharing. Hope you found some quiet time today to reflect. Take care.